Don’t believe us? According to Existing Homes Sales Report from the National Association of Realtors (NAR), the average price of homes in May 2017 went up 5.8% from last year. If you wait until next year to buy, you might be scrapping for change in the cushions to say the least! Not only will it cost you more to buy, but you will also need to increase your down payment to account for the higher price of the home. 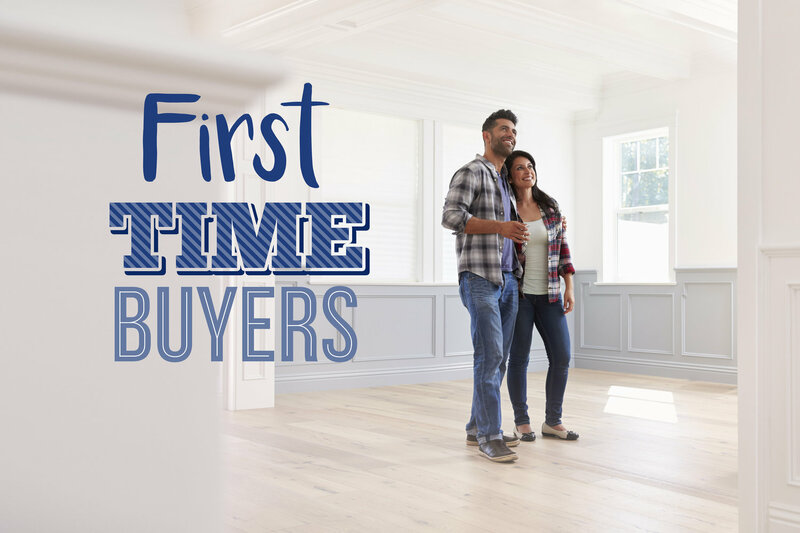 The initial process of purchasing your home may seem easy and quick, but THERE IS MORE TOO IT! The ‘long term cost’ of buying a home WILL haunt you if you buy at the wrong time! Mortgage Bankers Association (MBA), and NAR have projected that mortgage interest rates will DEFINITLEY increase over the next twelve months. The smallest increase in mortgage rates can have a huge impact on a home owner. Is your bathroom small? It’s the worst, isn’t it? Well, unfortunately, small bathrooms are very common, and are usually the smallest rooms in the house. I can almost bet that it almost always feels cramped and tight in there. 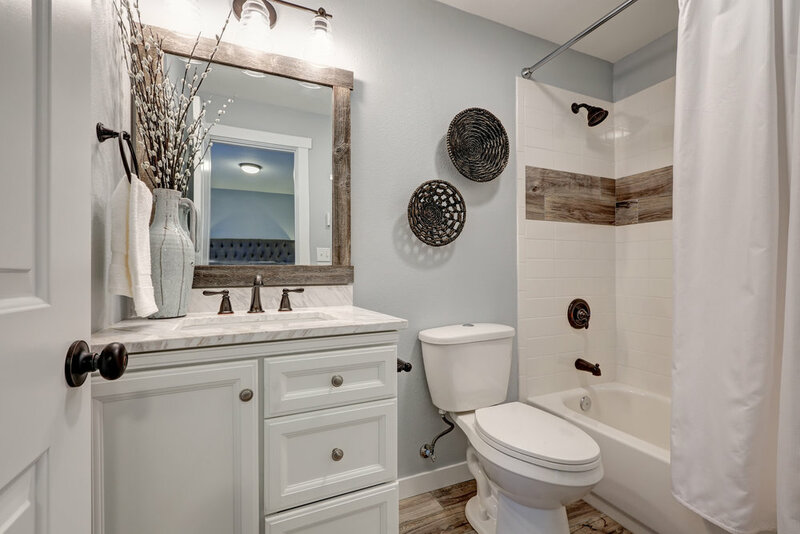 Although the square footage doesn’t change, a change of organization and storage space can make a drastic change to how your bathroom feels. Here are a few tips and tricks to make your bathroom space feel more functional and spacious. #PopInThePinkDoor for all your real estate needs and hero savings! With the influx of new technology and web based solutions, it isn't a surprise that everything is moving fast into the era of the internet. From sites like Uber to Grubhub, we generally can pull up our phones or laptops to order what we want with ease. And with every industry being revolutionized by technology, the same methods are "attempting" to be applied to the real estate industry. We could all agree that the simplification of the process through paperwork would be much appreciated by agents and buyers/sellers alike; but the attempt of replacing the agent by sites like Zillow and other third party resources, can lead to a snowball affect of disaster. Think about real estate being smack dab in the middle of fast food and a doctor. You can use your mobile device to quickly place your order for a $20 meal, but when it comes to getting a surgery, you'll want to put that phone down and visit a professional. Now think of your real estate agent being in the middle of all of that. You can use your devices to look for a home, look at market data the way you look at WebMD, knowing not to take it too seriously because you need a real professional's input, but it's fun and gives you a general idea of what to expect. But there in lies the issue, the data online is an oversimplified version of what goes into the process of buying and selling. The same way it oversimplifies medical diseases and surgeries, you'd still expect to get a professional's diagnosis. 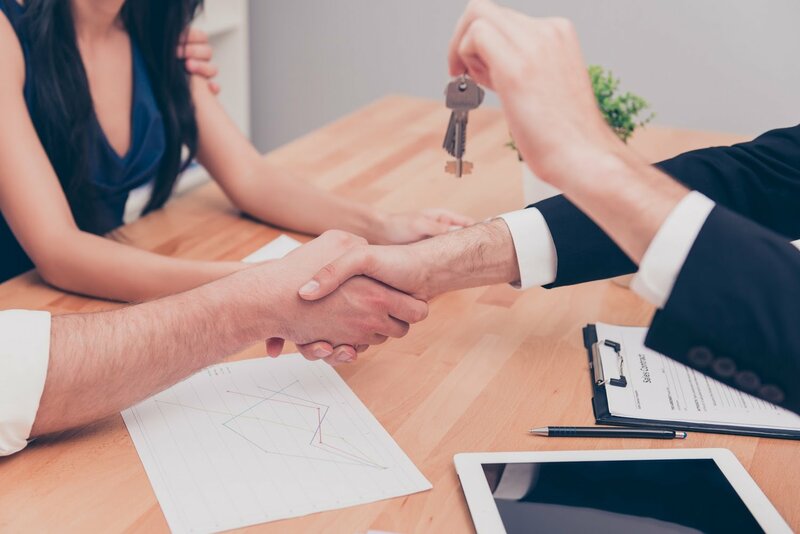 Although a real estate agent isn't quite like a doctor, the industry in it's legalities, contracts, and processes is similar in the sense that it needs to be taken seriously. Looking for a house online and wanting to put an immediate offer on one can be exciting and fun, but the issues that require a professional's guidance comes after the initial contract is written up and the hard work comes into place to actually make the home your own. Same for sellers, if you decide to put your home on the market and want a website that will give you an automatic offer, how do you know you're not being taken advantage of in the price? But most importantly, how do you know you're not being taken advantage of in other aspects of the contract? Because there is a lot more to the sale of the home then just agreeing on a number. 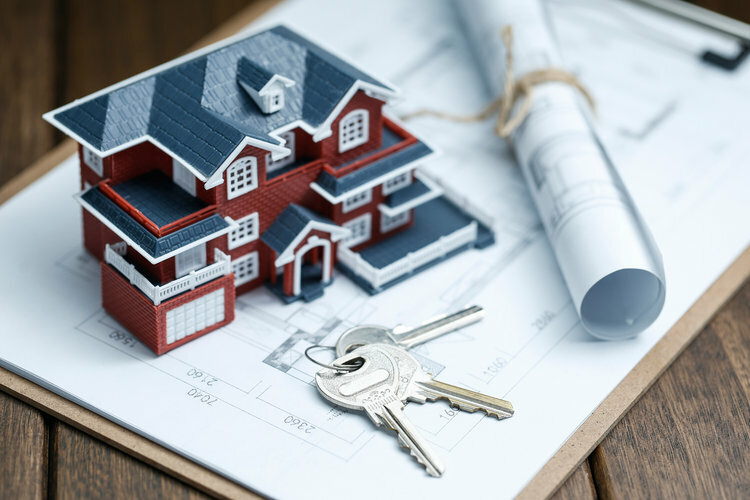 The next time you're digging through public sites for homes for sale, and getting instant home valuation estimates, keep in mind that this is a simple process to give you an idea of your market. A very general idea. But after you've found the perfect house, or after you've decided that the numbers make some sense for you to sell, call your favorite real estate agent and make sure they give you a more detailed look into the market and assist you through the full process, not just the exciting first parts. Because it's going to be in the middle of a contract when the lending is falling apart, or negotiations can't be made on repairs and emotions are at an all time high, that you are going to wish you had put down your laptop and had an agent fighting for you by your side. Use the internet, have fun with it's amazing resources, but don't let it replace your agent. We aren't in an age, just yet, where technology can do everything a professional can. With the number of foreclosed or bank-owned properties floating around out there, I often speak with folks who are preparing to embark on a renovation project. Unfortunately, with a rise in remodeling comes a flood of disreputable contractors looking to cash in. I do my best to protect people by providing referrals to reputable contractors, but there are plenty of people out there I don’t get a chance to talk to. 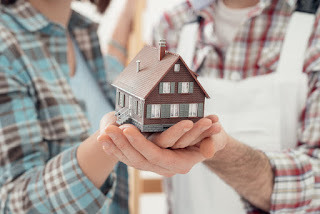 If you know someone who is about to undertake a major renovation project, I urge you to share this excellent article published by the Federal Trade Commission, "Home Sweet Home Improvement." It includes a PDF guide your friends and family will find helpful. Home ownership rates are the lowest they have been in the last 50 years. Yet a large portion of Americans are still renting properties, instead of enjoying a home of their own. Consumer reports believe this is an issue because of a buyer's lack of trust in their ability to purchase. It is still a long standing notion that a buyer needs 20% towards the cost of the home in order to move forward, but this isn't true. With countless down payment assistant programs, and closing cost roll-ins, a home owner could move in with as little as a few hundred to a couple thousand dollars. Which is a huge difference in the time it takes to save up to make the move. With interest rates at an all time low, home ownership in today's market is a great investment. The money saved over a mortgage's lifespan can result in tens of thousands of dollars, if not hundreds. That's more money in your pocket today. Don't wait to buy when interest rates soar again. With low interest rates, that means your monthly mortgage payments are at a significantly lower cost, as well. With such a heated housing marketing, rental prices are soaring, and statistics are constantly showing that home ownership can be equivalent to your rental rate each month, if not less. Why get stuck in a small 2 bedroom apartment, if you can move into a home a pay a monthly rate that is the same, and get a 3 bedroom house with a great backyard? There is also a fear that a home can keep you "stuck" or "rooted" to one place, without an easy transition out if you decide to move. Although the future of the housing market isn't easily predictable from location to location, you can always discuss with your agent about buying a home in an area that has a strong turn-over rate when a home hits the market. The equity build up when it comes time to selling is going to be far more beneficial, than if you put money into a rental and decided to move. The money from selling the property can be used to purchase a new home. With renting, there would be no additional funds to transition into a new place. Now imagine if you were renting a home for $2000/month. If your landlord is renting to make a profit, think how much less you'd be paying on a monthly basis towards your mortgage, if the home was yours. Then you wouldn't be paying a landlord to profit off of you, you'd be paying a reasonable rate, and get to call the property your own. Discuss with your agent and lender the steps you need to take towards home ownership, you might be happily surprised about the type of home you can afford to move into.